Being a recreational diver for me usually means finding the most exotic, beautiful and rare fish and taking lots of pictures, if possible. But occasionally, you don’t find these aquatic creatures. They find you. 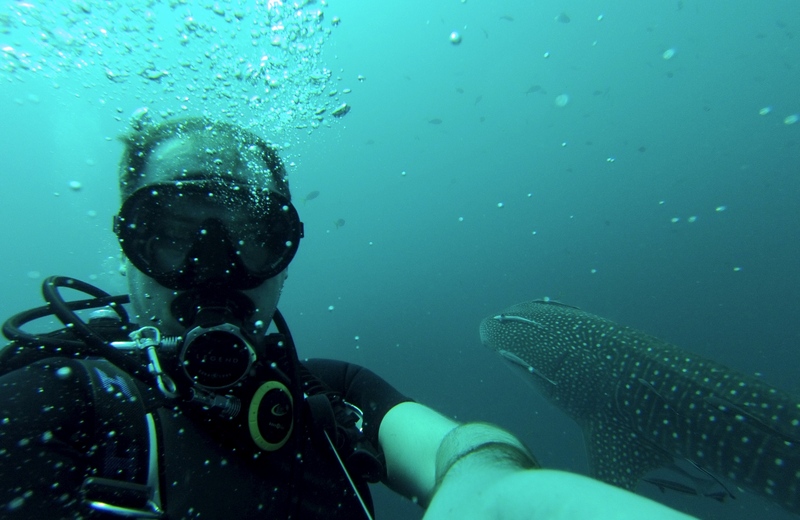 This happened on one of my recent Koh Samui diving trips, where I went for my usual Koh Tao / Chumphon Pinnacle dive. I’ve done this boat trip many times, and they take you to different dive sites around the islands of Koh Phangan and Koh Tao, which is, by the way, some of the nicest diving in the Gulf of Thailand. Chumphon Pinnacle is one of these places where you must have been, especially if you’re adventurous. The dive site is entirely under water, and the boat takes you about 30 minutes north of Koh Tao, in the middle of the open water. From above, you see nothing. But go down 20 meters, and you will find an underwater rock so full with fish, it almost feels like an aquarium. On other dives, I’ve seen Bull Sharks here, but no luck this time. Lots of parrotfish, triggerfish, angelfish and other beauties. Then, the dive is over, and we gather along the line for the ascent. And this is where it happens. Almost at the surface, a giant creature emerges out of the big blue. It is a whale shark, accompanied by a school of smaller fish that seem to enjoy the safety of a big brother. It is so majestic, so beautiful, and you don’t expect it, so it really took me by surprise. 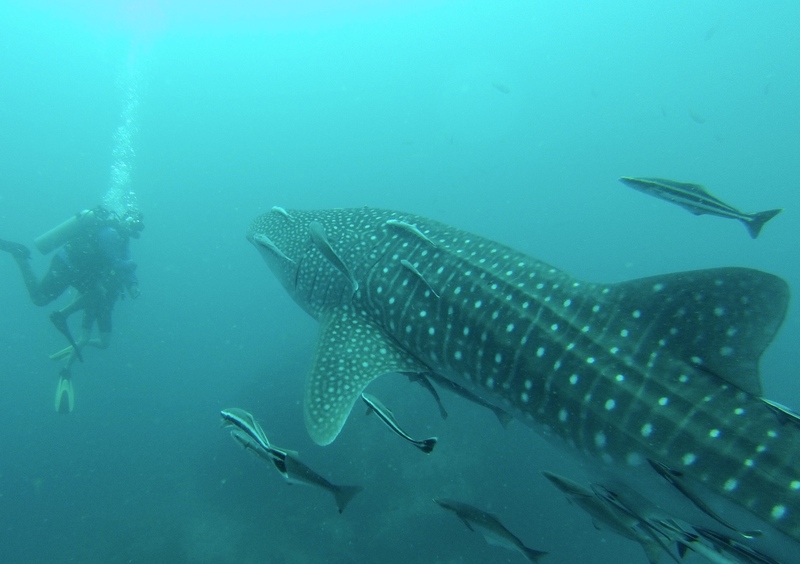 The Whale Shark doesn’t seem to bother at all being around people. She glides softly, takes a few turns, and almost seems to smile for the camera. And then she decides it’s time for a dive and she goes deeper. I have the large fins on, and a little air left, so I follow her. I am so amazed by the amazing moment that I completely forget I’m already at 18 meters depth again. I take my last pictures, and suddenly I experience the nightmare of all scuba divers. Something you never believe would happen. I have no air. Nothing. Nil. I can’t breathe and I realize I’m way too deep. The other guys seem disoriented when I make the “no air” sign with my finger along my neck, so I decide to make an emergency ascent, instead of negotiating for air with the other divers. It feels like an eternity, and I am sure it was less than the required one minute for decompression. I reach the surface, gasp for air, fill up my wing and am happy that I am still alive.